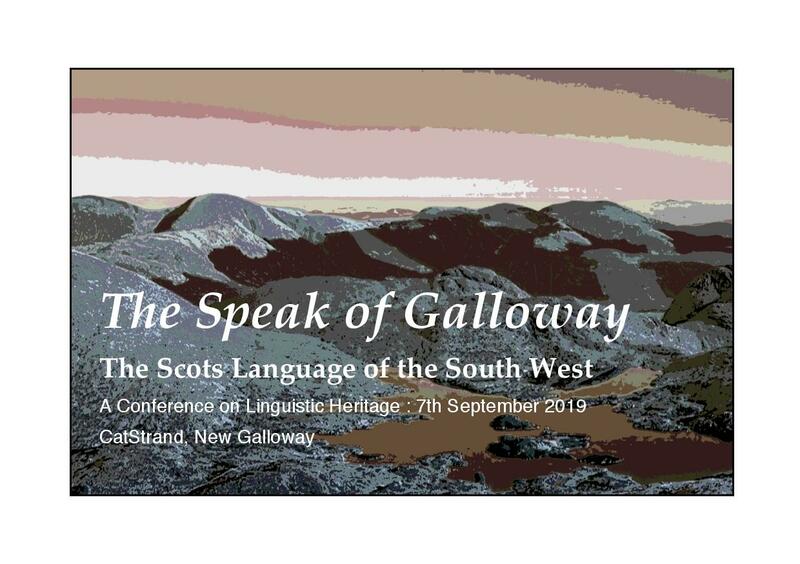 In this, the second conference exploring the linguistic heritage of Galloway, a range of speakers will consider the history, current usage and survival prospects for the distinctive variety of the Scots Leid or language spoken in Galloway. Professor Jeremy Smith who will deliver the key note address. Margaret Fergusson: “Haud yir tongue and mind yir language - a sociolinguistic study of the distinctive accent of south west Scotland”. Rab Wilson: “Cormilligan, Parish of Tynron, Passion, Poetry and Video”. And the voices and views of local speakers of the Scots of Galloway. Tickets cost £30 (full-time students £20) including coffee and buffet lunch. We gratefully acknowledge the sponsorship of Beltie Books of Wigtown.